Can you imagine a tougher decision than having to pull your child from school because you need their help to put food on the table? That is the decision that Hawa had to make with her daughter Shamim. 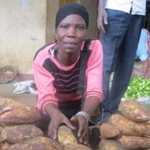 Poverty drove them to the streets and pulled Shamim out of school. Luckily, with your support, we can get parents back on their feet and children back to the classroom. Your donation can make a difference providing education to people who desperately want to learn. Whatever you can give, your gift will help put someone on the path to a better future. Transform education so that every child has the chance to learn. Shamim remembers how everything changed after her father left and they got thrown out of their home. 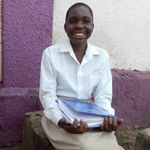 Thanks to the Child Restoration Outreach Project she is now back in school and succeeding in her studies. Cycle for Education in the Prudential RideLondon Surrey 100.